Miriam Chacón Mateos is a Global Finalist of Go Green in the City 2018 competition. Miriam is a chemical engineer that moved to Germany guided by her passion for the environment. She pursued a master’s in Air Quality Control, Solid Waste and Waste Water Process Engineering at the Stuttgart University. 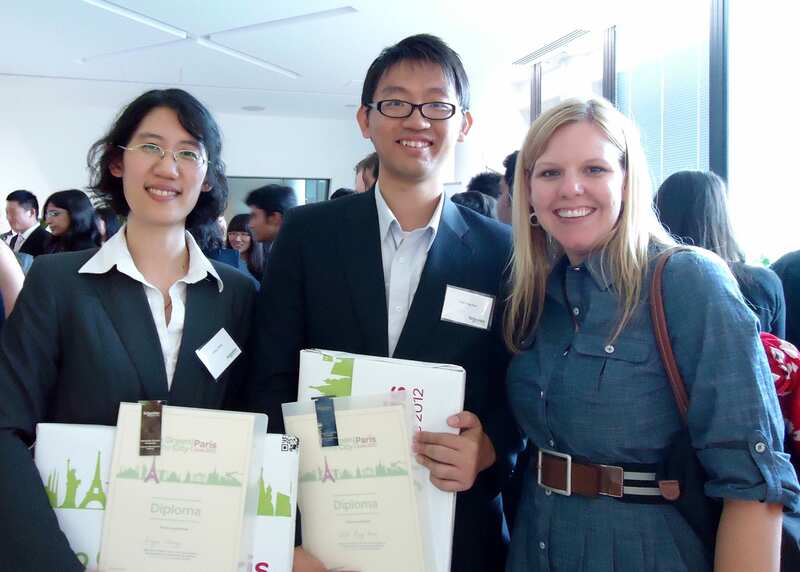 She has recently graduated and works in the department of Air Quality Control at Stuttgart University. 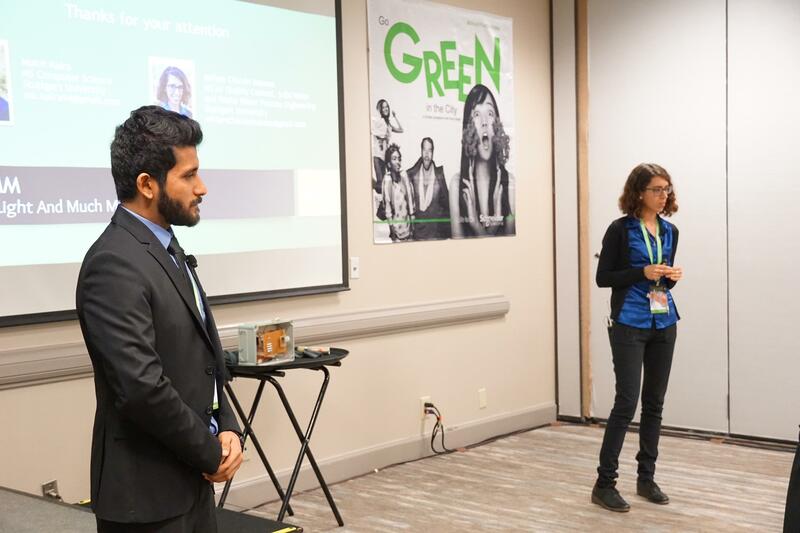 In below blog article she shares her experiences from applying to Go Green in the City contest and winning a place in Global Finals in Atlanta. Registrations to Go Green in the City are open now at gogreeninthecity.se.com ! 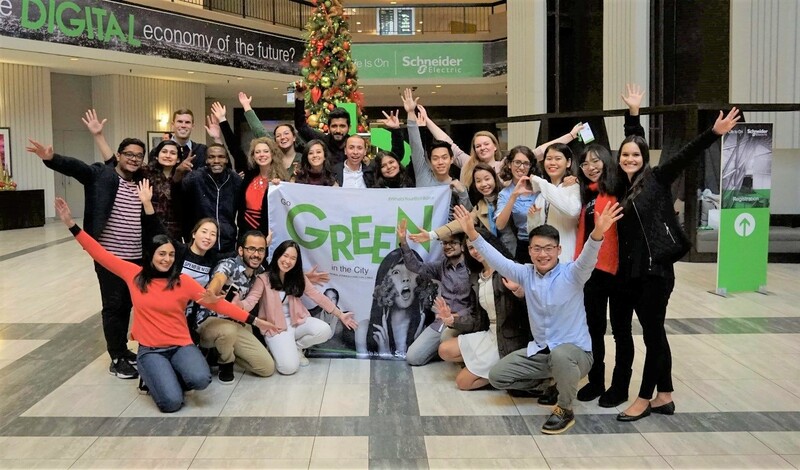 This past 13th of November I had the opportunity, together with my teammate Mohit Kalra, to represent Germany in the Go Green in the City Challenge. 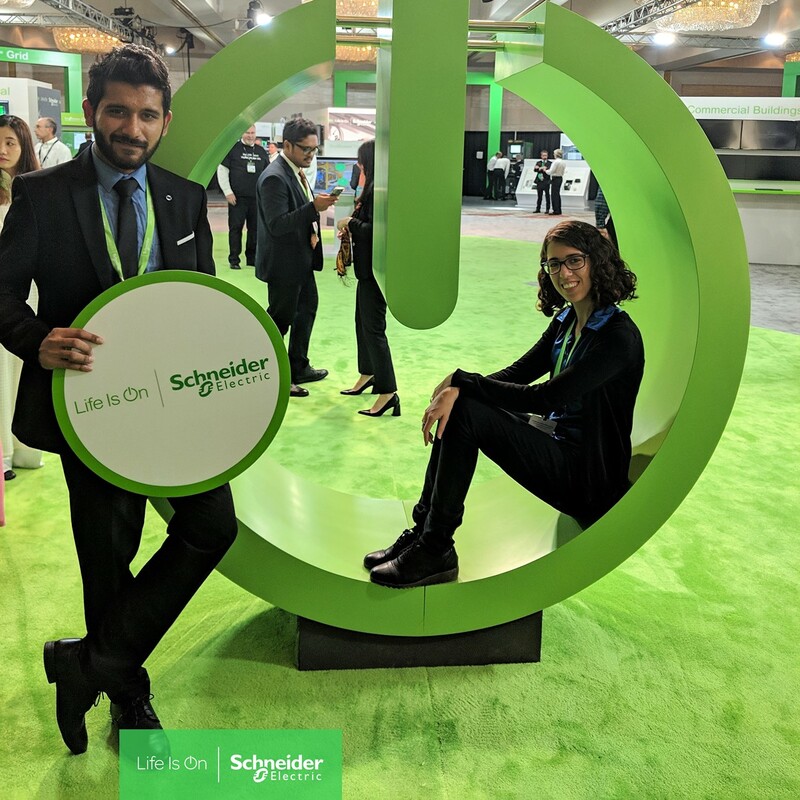 Go Green in the City is an international competition organized by Schneider Electric every year. To set the stage, we should look back 5 months earlier. Mohit asked me to team up with him in order to develop a new idea to make cities greener and more sustainable. I found the objective of the competition very catchy for me. A sustainable development is always on my mind and the idea of teaming up with Mohit sounded really good! 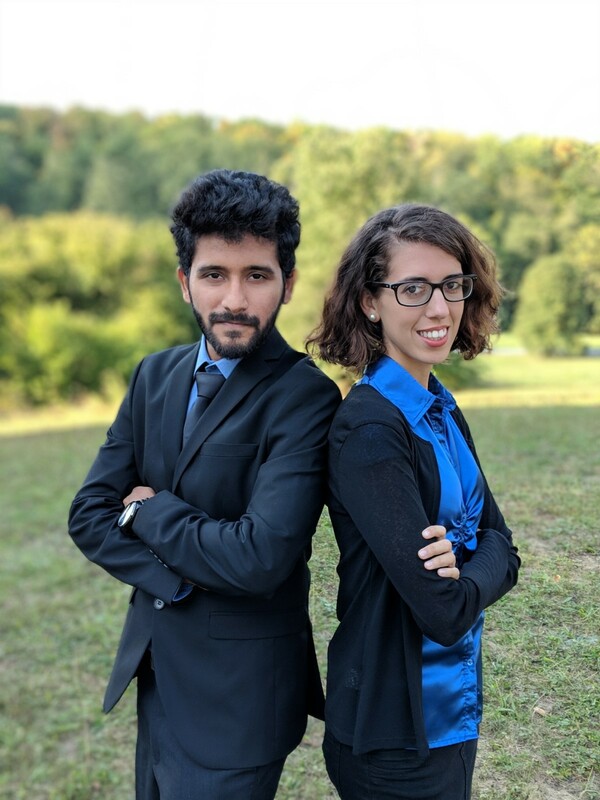 We both thought that a computer engineer and an environmental engineer would be a good mix for such a competition, as he is doing his Master in Information Technologies. And so, it was! In a couple of hours, we came up with an idea that reduces greenhouse gases and light pollution by dimming the street lights when no car, bike, or pedestrian is using the street. We connected the lights with a Smart Light Mesh Network and Machine Learning to anticipate the light response. Finally, we decided to also target air pollution (of course, doing my Master thesis in the field of air quality and not targeting air pollution was not an option). We wanted to monitor air quality with low cost sensors in the same device in order to broadly map the air pollution in the cities, improving traffic management to protect dwellers from traffic emissions. Our idea was short-listed for the European Regional Competition together with four other teams from all over Europe. They assigned us two mentors to help refine the concept for presenting it to three judges via Skype. And the surprise came again when we received an email telling us that we would be one of the teams going to Atlanta to represent Germany in the Finals during the Innovation Summit of the company. They gave us two months to distill the concept even more and to build a prototype. Here I would like to thank the department of Air Quality Control for providing us with materials. I would like to especially thank Mr. Laquai, whose help was crucial in building the prototype. Welcome to Go Green Finals! The week of the Finals finally arrived! After a 12-hour flight (including delays from taking of, landing, and turbulence) we stepped into the USA. It was my first time there and I was incredibly curious to see what life on the other side of the Atlantic Ocean looked like. We were tired, but there was no time for Jet-lag! 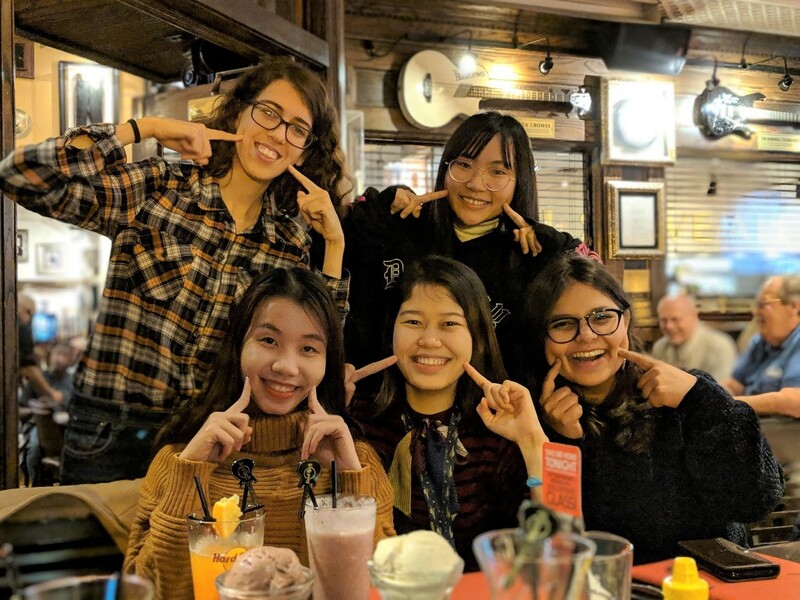 Our first event was a dinner at the Hard Rock Café to meet the other teams. They were from all over the world: France, Spain, India, Algeria, Vietnam, Canada, Indonesia, China, the USA, and Brazil. That night the Asian girls taught us how to say some messages in pictures such as “I love you”, “I’m a flower”, and “I’m a panda”. The following day we presented our projects after a very inspiring speech from the CEO Jean Pascal Tricoire on Digitization and Sustainability. We were the last team presenting but that did not affect us in terms of nervousness. We were so captivated with the other ideas that time passed very quickly. I really hope that they will all continue working on their projects to make them a reality. The judges did not tell us the verdict that day but we all still felt very released from the tension. The presentations had finished and we then had the rest of the trip to enjoy. That night we celebrated a successful day by playing golf, or, in my case, trying my best! The next day the organizers prepared for us a guide tour through the streets of Atlanta. As it was raining, therefore we had to do it in electric cars. They told us about the history of Atlanta and the history of Coca-Cola, as it was created there. The winner was announced after lunch in front of all the employers, suppliers, and customers that were attending the Innovation Summit. The winning team was from Algeria: Zvirevo Chisadza and Tariro Cynthia Mutsindikwa with their great idea of building an organic photovoltaic greenhouse system to increase crop production and fight for hunger. They did a very good job and we were all very happy for them. After the photo shoot, we went for dinner to a very luxurious restaurant. Knowing that the trip was coming to an end, we stayed awake until very late to reinforce our friendship and to exchange our thoughts and culture. Coming back home, right for…Graduation Ceremony! The saddest day was also the day that I woke up completely hoarse. I was not able to talk at all and I was writing everything in my notebook. Even to order a coffee! Luckily it happened on the last day and not the first day! I remember with affection all the hugs and goodbyes that we said to each other. It was very difficult to say goodbye but we all hope that one day we will meet again at some point in some place. I wished them all the best in their careers. They are such nice human beings. The world needs more people like them, students that are willing to think outside the box and do great things. This article was originally published in WASTE newsletter of Stuttgart University in Germany.